Since the advent of modern science, there has been a rush of many within religious communities to evaluate their faith according to scientific discoveries to see if there might be any previously undiscovered proofs that their beliefs are true. Christians and Muslims have been especially diligent in this regard, having published volumes of work on why certain discoveries in the sciences either confirm their scriptures; or may have been revealed centuries earlier by the founders of their faith. Far from being an erroneous exercise, there have been many discoveries as a result of this process that have sharpened the faith of many and lead to changes in historical doctrines. The most infamous of these probably being the flat earth and center of the solar system theories. 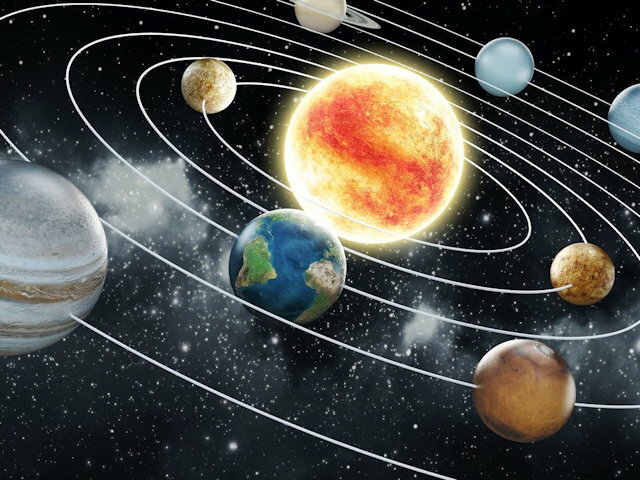 In recent centuries Catholic teachers used a limited number of passages from the Bible to assert that the earth was flat or the center of the solar system. With the invention of the telescope, people began to realize that these interpretations of biblical text were incorrect. More to the point, the text used to prove a case about the natural order were not, in fact, about the natural order at all. Especially when religious scholars looked at their own scriptures in a more straightforward manner, instead of reading into the text what they wanted to see. After all, the Bible never literally said the earth was flat or that the earth was the center of the solar system. Some popular defenders of the Quran have taken a similar proved by science approach, saying that the Quran reveals scientific and natural wonders that Mohammed could not have possibly known. This includes covering topics from biology to cosmology and areas in between. While these interpretations are popular, neither the Bible or the Quran make numerous claims to scientific evidences. Their claims center on the identity of God and His relationship to man. Both books use narrative, poetics, and other illustrative tools to make their case. However, both books also contain certain passages that might be construed as being scientific. The Quran goes a step further than the Bible, by actually discussing details of cosmology and biology, claiming to reveal details, and not just general knowledge. Where Do The Sun and Moon Go? In the book The Bible, The Quran, and Science, author Maurice Bucaille dives into a number of scientific claims that he defends as being reveled in the Quran and confirmed by modern science. Bucaille claims that modern science has determined that this resting place is in the constellation of Hercules (Alpha Lyrae). His claim is that as the sun comes to the end of its useful life and dies it will wind up in this location. Is that true? Not according to any cosmologist with whom this authored talked. Certainly this is poetic language about the stages of the moon, from full to new but "mansions?" Yusuf Alii's translation notes that the moon must traverse those mansions before it returns to view. This kind of language in both passages seems to indicate that the observer looked at the setting of the sun and moon as akin to taking a rest someplace. Are these simply poetic passages, or does the Quran infer something more? The Quran answers this question when reading 36:33-46 that these things are signs that one may observe to see if Allah is telling the truth. Yet, we can now observe more than Mohammed ever imagined, and we know that the Sun does not have a resting place, nor do moons have mansions. Another passage of cosmological interest is 36:40. Also written about in The Quran and Science. The above Sura is often quoted as a demonstration that God must have been the author of the Quran since people in Mohammed day had no clue about orbits and the true nature of the heavens. What may be clearly observed, however, is that from every practical point of view, 36:40 is in error. It might be said that Mohammed was speaking from a purely poetic standpoint, not intending to present a literal proclamation of the relationship of the earth, moon, and sun. However, the context of the passage is not poetic. Forgetting for a moment that modern Islam interprets this Sura literally; verse 37 remarks that these things are "signs for men." The language in this passage is straightforward. The questions is, is it correct? 36:40 can only be understood from the perspective of a person standing on the Earth and looking at the sky. What do you see? "The sun is not allowed to overtake the moon." In other words, Mohammed, along with everyone else, observed the regular motions of the sun and moon traveling across the sky. The only way this verse can be accurate is if Mohammed is talking about an eclipse. The moon intersects his line of sight covering up the sun and passes, from his perspective, "over" the sun. The moon, from a visual perspective, "catches up," the sun. Of course, modern Islam does not interpret 36:40 as an eclipse. Simply put, if Mohammed is referring to an eclipse then nothing remarkable was revealed. Yet we know that Mohammed was witness to an eclipse, during his son's death, as recorded in the Hadith. Aside from interpreting this as an eclipse, which removes its miraculous nature, this verse comes into question. From the visual perspective of one standing on Earth, the sun travels more often in the sky than the moon. Each day the Sun comes up and goes down. Because of its rotation around the earth, on some days the moon appears, and on others it does not (during the New Moon). "They float each in an orbit." Could a mere man without God's help have known this? Certainly, the Greeks knew it long before Mohammed. The Egyptians knew it when constructing the Pyramids. Thus, there was no new revelation in 36:40. From a comparative view in space, the orbits of the sun and moon cannot be compared as if "outpacing" one another. They do not orbit on the same plane. Secondly, they don't orbit each other, the moon orbits the sun by means of its orbit of earth. The sun can't catch up the moon because the Moon is already in subjection to the sun! Forget for a moment that the orbits aren't comparative. View the verse in terms of raw speed. "The sun is not allowed to overtake the moon." Really? The sun orbits the galactic center at just over 518,000 miles an hour. The moon orbits the earth at approximately 2,300 miles an hour. Which is faster? Even in this regard the moon orbits the galactic center being carried, in part, by the gravitational influence of the sun. The sun is not allowed to catch up the moon? On the contrary, the moon is "caught up" in the gravitational influence of the sun and carried along by it. If you view this from the perspective of rotations rather than orbits the Quran fails again. The earth gives the appearance that the sun is orbiting it because it rotates on it's own axis. This happens once just under every 24 hour period. The moon circles the earth once every 29.5 days; so the sun "catches up" the moon all the time. Note that the moon's rotation was discovered thousands of years ago as even the Arabs prior to Mohammed day used a lunar calendar based upon the rotational, rather than an orbital, perspective. "...nor does the night outstrip the day." Again we have a error made from the perspective of one standing on the earth. At different times of the year night is longer than day. The closer you get to the polar regions, the longer night or day become. Night can sometimes last months longer than day! 36:40 stands, from every perspective, in opposition to what is known about the orbits of the sun, moon, and earth. Even in Mohammed's day the "night outpacing the day" was easily observable as false from any position on the Earth (with the possible exception of the equator, of which Mohammed lived 20 degrees north of). Is 36:40 God's word? If so, we must answer the question, Why would God contradict the facts of His own creation? 86:5. "Now let man but think from what he is created! He is created from a drop emitted. Proceeding from between the backbone and the ribs." First it should be noted that the above passage is not poetic. The author of the above passage tells us that sperm (drop emitted) comes from the area of the body "between the backbone and the ribs," where the heart and lungs reside. In actuality, sperm is produced and stored in the scrotum; more technically, in a system of tubes in the testicles which are located in the scrotum. The scrotum is not located between the back and the ribs. (If yours is, contact us and we'll refer you to a specialist.) Can the Quran be the Word of God and be wrong about reproduction, which God created? 23:14. "Then We made the sperm into a clot of congealed blood, then of that clot we made a lump; then We made out of that lump bones and clothed the bones with flesh; the We developed out of it another creature." There are four orders of error in this small passage. However, it is no fault of Mohammed, he did not have the technology available to discover the truth about embryology through observation. Sperm does not mutate into blood cells. The cells which form blood and clotting agents do not begin formation until the fourth week of pregnancy. After the joining of the sperm and egg into a morula, there is no blood or clotting agent yet in formation. However, many other cell types form prior to blood and clotting agents. 2nd Error - "From that clot we made a lump." This is mentioned as an additional error since the Quran presents the idea that human life is grown from a clot to a later collection of other cells (lump). As mentioned above, that is not the case. 3rd Error - "We made out of the lump, bones." The order presented in the Quran is fertilization, blood (or cell) formation, bones, then flesh. This is untrue. Cells for organs and flesh actually begin formation prior to bone tissue. Later, as the child grows, bone structures begin to develop along with organs and flesh. 4th Error - "...and clothed the bones with flesh." As mentioned above, cellular division forming bone tissue takes place after flesh and organs begin developing. The picture painted in the Quran is very different. Every modern observation of fetal development demonstrates conclusively that the Quran's order of events are in extreme error. Any of these, and the other readily available facts regarding human reproduction can be referenced in an encyclopedia or medical database on the Internet and compared with the Quran. Can the Quran be the Word of God and be wrong about human reproduction, which God created? The Quran claims to be authored by God, revealing only truth and containing no error. If the Quran contains the kind of errors as we see above, then how do you know it is a trustworthy record of what God thinks about you; and what He wants for your life? My Muslim friend, what is your response to these startling facts? Would you like to know more about God's truth, but free from error? You can know more about God's love for you, and how you can have a personal relationship with the One True God.